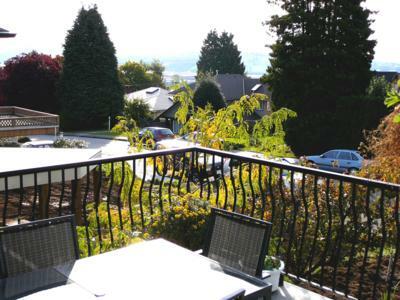 Queensbury View is located on the Queensbury slopes of North Vancouver, overlooking Burrard Inlet. 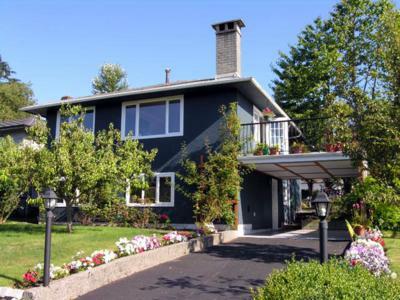 The house provides views of Burnaby Mountain, the Second Narrows, and glimpses of Vancouver Harbour. On a clear day, Mt, Baker stands out to the south east. At night, the lights of Vancouver provide a wonderful backdrop. 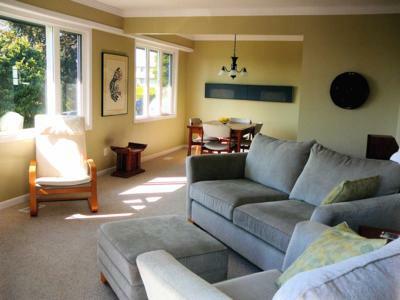 This bright, comfortable home is the perfect base for the Olympics, only 1.5 blocks to the bus stop, 2.6 km to the Sea Bus terminal to downtown, and 2.2 km to the #1 Highway to the Olympic venues at Cypress Mountain freestyle skiing and snowboarding and Whistler nordic and alpine events. 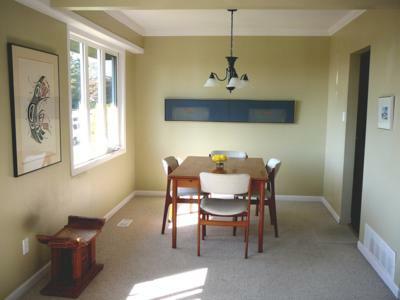 Located in a quiet, family-oriented, residential neighbourhood, Queensbury View features 4 bedrooms on 2 levels and was completely renovated in 2005. 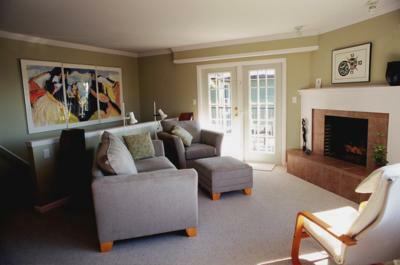 The living room and adjoining dining room feature large south-facing windows and a gas fireplace. 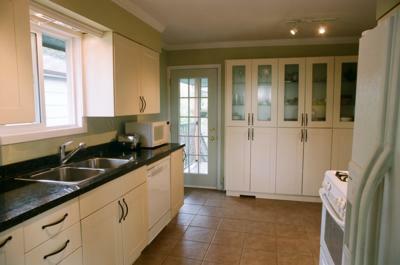 Off the living room, doors open on to a large deck with a natural gas barbecue. 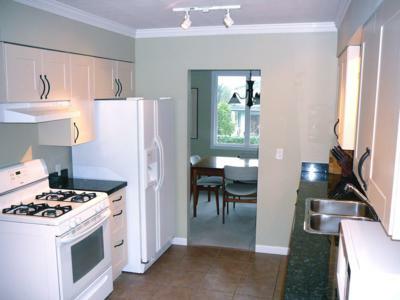 The roomy kitchen features granite counter tops, dishwasher, stove, microwave and lots of storage. 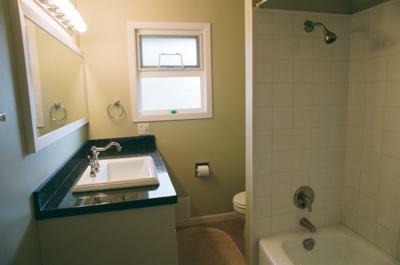 Two main floor bedrooms overlook the north garden and share a bathroom with combination shower/bath. 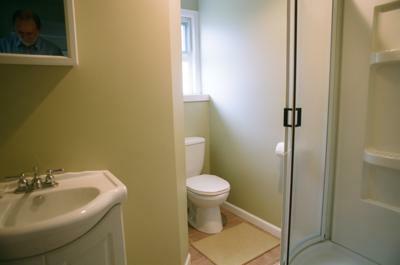 On the ground floor, two more bedrooms share a bathroom with toilet, sink and shower. 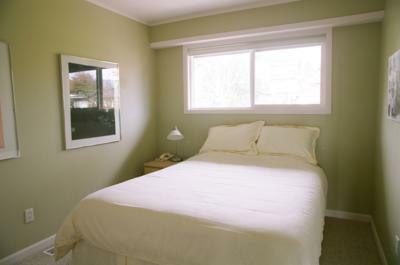 The second ground floor bedroom can be configured upon request either as a bedroom, or a spacious office with 3 desks. 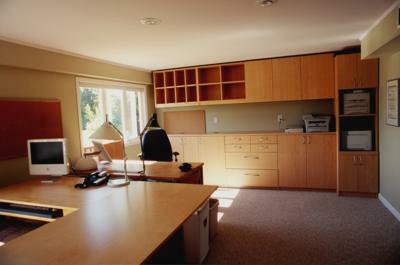 Office equipment networked printers, scanner and copier can be made available in the office configuration. High speed cable internet is included. TV is available upon request at no additional charge. An on-demand gas water heater ensures that you will never run out of hot water. 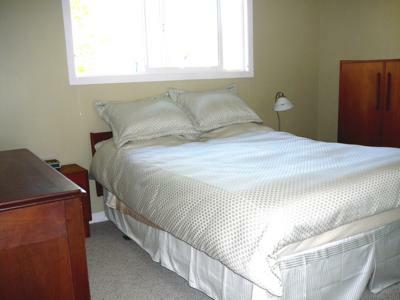 Only 1.0 km from a shopping centre with grocery, liquor and other retail stores, and with such easy access to transit and highways, this house is situated in one of the best locations for the 2010 Olympics. 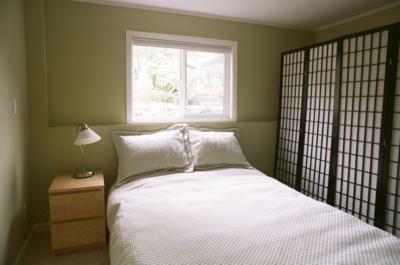 Bedroom 2 can be configured as bedroom twin or queen or office.